In this article I’m going to list and review the top 6 Lego Technic sets for adults that you can buy in 2019 (the chosen sets are based on my personal opinions). I will just briefly review my choice of the top 6 sets. I have selected larger sets that contain more pieces. I have excluded cheaper small sets from this list. If you are looking for something cheaper and smaller e.g. 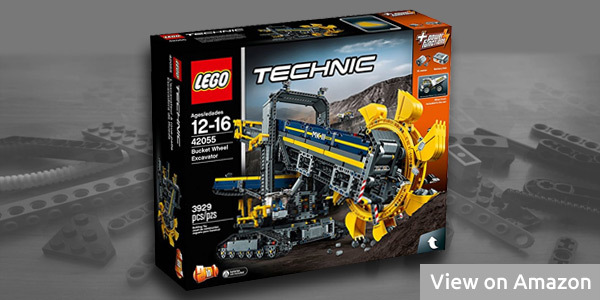 for your son, check my other article: Lego Technic sets with under 300 parts. So now let’s continue to my reviews. 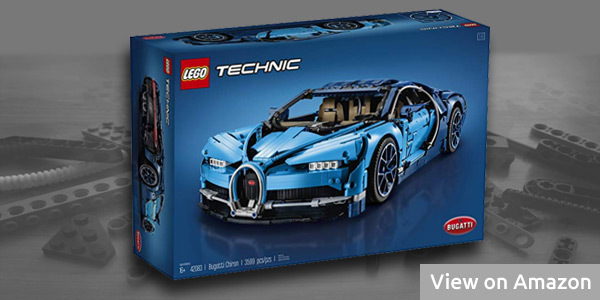 I’m starting off my list with the most popular Lego Technic set of the year 2018, the Bugatti Chiron set. It is also my favorite Lego set from this list and the second largest one as well (it has 3,599 pieces). This is an exclusive set created with a Bugatti license. It was a long-awaited special set. It was released in August 2018 and is a successor of the Porsche set that you can see listed below. I believe this set would be a perfect gift for every adult man that likes Lego. 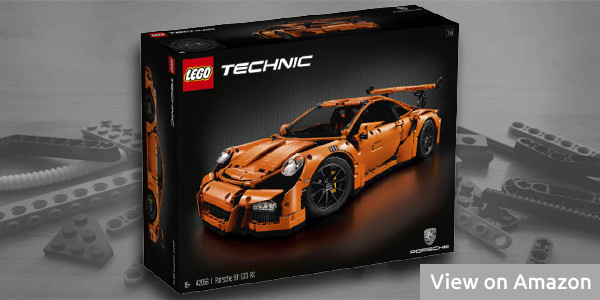 The second one on my list is the most popular Lego Technic set of the year 2016, the Porsche 911 GT3 RS set. This is a really exclusive set created with a Porsche license. It features a really nice Porsche-branded packaging. You can see more photos of this model (of the packaging as well) in my complete review of this model that you will find here: Lego Technic Porsche 42056 Review. The third one on my list is the largest Lego Technic set ever made. It contains 3,929 pieces. It also includes Lego Power Functions (motorized functions) like moving conveyor belt, rotating bucket wheel & rotating superstructure and reverse driving. The main model, Bucket Wheel Excavator measures 28” long, 16” high and 11” wide. The B model that you can build with this set is a Mobile Aggregate Processing Plant. If you like big Lego sets, I recommend you this one. This set is a model of the Mack Anthem truck. The model looks very realistic. This is achieved by an interesting way of use of nicely-shaped Lego parts. It is built with 2,595 parts. The features of this model are, for example, a 6 cylinder engine with moving pistons or front-axle steering. The dimensions of the truck model are: 11” x 32” x 7”. 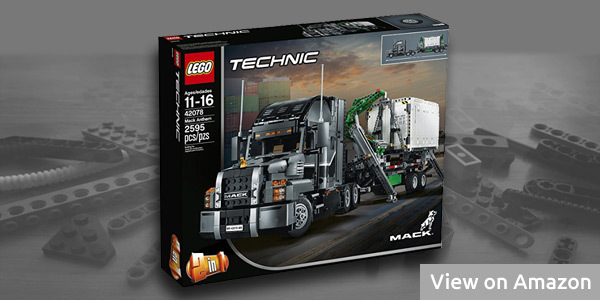 The B model of this set is a Mack LR garbage truck. I believe that this set would be a nice gift for every man who loves Lego and trucks. This set is the newest one from my list (together with the set mentioned below). It is actually a 2017 set. It contains 1,151 pieces. Most of the pieces are of the blue and black color. The cockpit of this jet can be opened, as well as the wings’ flaps can be moved. I don’t have any more details about this set, as it is a new model. 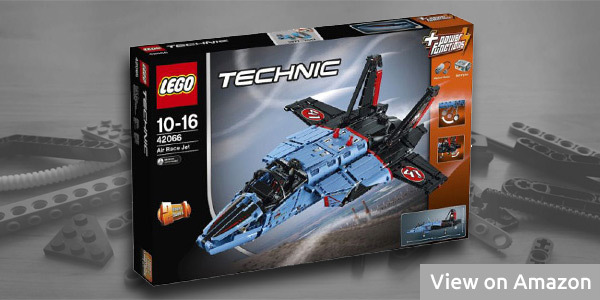 Nevertheless, it is a really nice set and if you like aeroplanes or fighters, this is an ideal set for you. 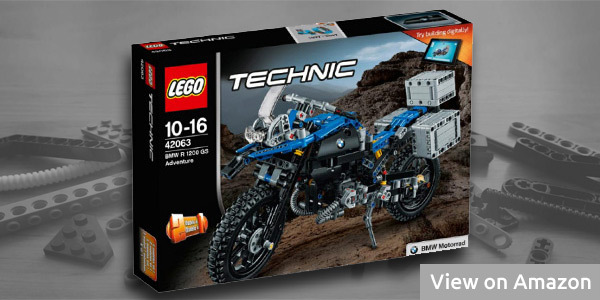 Last but not least, I’d like to introduce here a BMW motorbike Lego set. This is another 2017 set (like the set mentioned above is as well). It contains 603 pieces and most of them are black, gray and blue. This Lego set is licensed by the BMW company. The alternative model of this set is a Future Bike Concept. I actually got this set as a Christmas present and really enjoyed building it.